The Indian summer which we expected never arrived - indeed, we got the tail end of a hurricane instead. Temperatures have now cooled considerably, our parched lawns and fields have greened up, and drought-stressed plants are now recovered from the summer heat. Now we are easing our way into autumn, growth has slowed and, at the moment, we may have more time on our hands in the garden. One of the joys of gardening is taking this time to enjoy the fruits of our labour. It may be sitting down with a cup of tea and just enjoying the outdoor picture you have created. Or it could be wandering around observing plant life up close, appreciating its beauty, and observing butterflies flitting about and bees burrowing for nectar. Or you might be a sniffer, taking enormous pleasure inhaling deeply the different perfumes, getting high on roses! Scent often takes a second place in garden design. We try to get things looking the way we want them to and it's only afterwards that we think about introducing fragrance. Research has found that smell links to the emotional regions of our brains more directly than any of the other senses, and we are all familiar with the power of scent to trigger memories from as long ago as childhood. At the back of my house, I have a verandah - a second floor covered deck which you reach by means of a spiral stairs. I decided to plant the stairs so that greenery would clamber up and reach the second floor, bringing the garden closer to the house. I used star jasmine (trachelospermum jasminoides) which, once settled in its planting hole last autumn, started its ascent this spring. What's surprised me over the past month or so is the scent that envelops me as I run up or down. Star jasmine has small white flowers, but they make their presence known though the sweetest smell. The wisteria that drips from the upper balcony also smells wonderful, but its season is so brief I will need to supplement with another climber - perhaps a honeysuckle such as 'Graham Thomas', which has creamy white flowers that become more fragrant by night. In late spring and early summer there are any number of shrubs that will delight. Philadelphus 'Belle Etoile' is one of the most fragrant of the mock oranges, and if you've got acid soil you can include rhododendrons for heavenly scent. 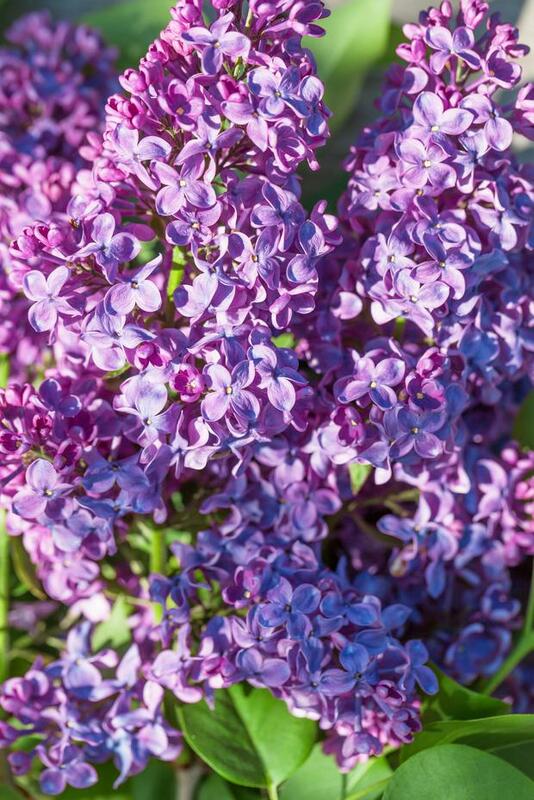 Lilac flowers (pictured) will evoke nostalgia in many. You don't see it widely planted nowadays, which is a shame. That's probably because of its bland foliage and the way the flowers go brown after flowering, but you can always deadhead these and perhaps position the plant at the back of the border and allow other plants to take the focus. Roses rule the roost in summer and my choice for best perfume are 'Gertrude Jekyll', the classic pink English rose and 'Munstead Wood' for a fruity fragrance. Adorn your walls with a scented climbing rose such as 'Madame Alfred Carriere' and include some Rosa rugosa 'Roseraie de l'Hay' in your boundaries. Top choice for pots are lilies, dianthus and wallflowers and plant some phlox in the borders. And on balmy summer nights treat yourself to some flowering tobacco (nicotiana sylvestris) in pots on the patio, and nightstock on your bedroom windowsill. For winter scent, I'd recommend Viburnum farreri, a medium-sized deciduous shrub. It might look ordinary but as you pass by its unmistakable perfume will cause you to stop and inhale deeply. Witch-hazels combine unusual and beautiful flowers with a delicious fragrance and Christmas Box (Sarcococca confusa) will surprise - hiding among the evergreen foliage are these quite ordinary small white flowers with the most delicious sweet fragrance. Good positions for fragrant plants are near the house, along the pathways, near entrances, creating some fragrant memories for you and your visitors. All members of the mint family - usually recognisable by having a square stem - have aromatic foliage. These include lavender, perovskia, rosemary, salvias, thyme, nepeta and of course mint itself.